The scene is a tiny room in Washington, D.C. called the Cellar Door. Throughout the ’60s and ’70s, artists like Tom Waits and John Denver played intimate shows here. Miles Davis’ The Cellar Door Sessions was recorded here. 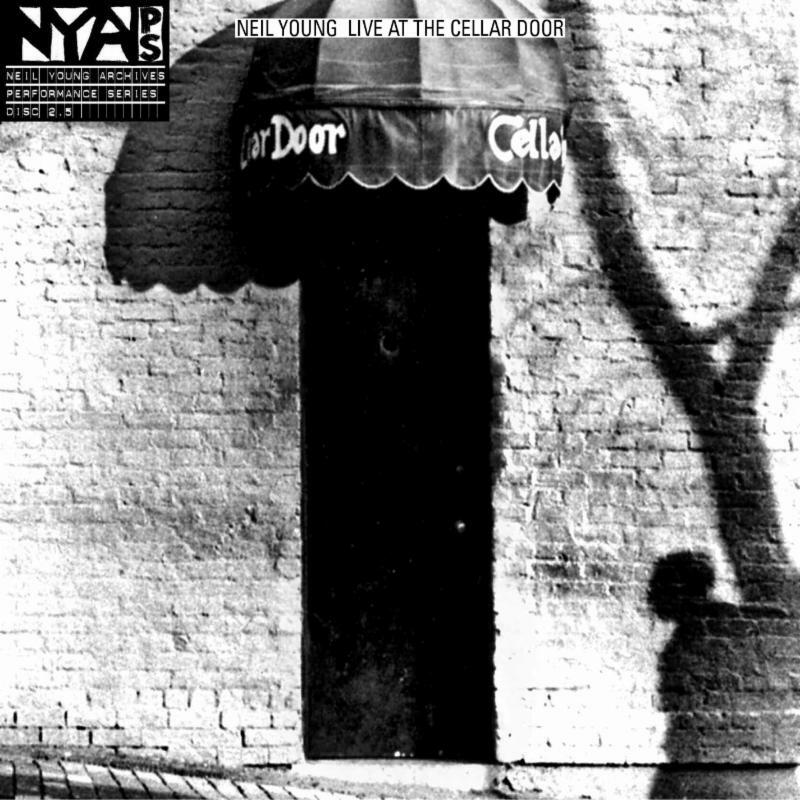 Armed with just a guitar and piano, Neil Young held court at the iconic club for six days in late 1970, and those performances are now collected as part of the ongoing Neil Young Archives in Live At The Cellar Door. The six-night stand came hot on the heels of Young’s best-selling album to that point, After The Gold Rush. That record stood in stark contrast with the one that preceded it, the hard-rocking Everybody Knows This Is Nowhere, and the string of solo shows Young performed between ’70 and ’71 cemented his return as a country-folk songwriter and set the stage for his commercial high-water mark a year later in Harvest. But even as Live At The Cellar Door captures Young nearing the height of his powers, he told Guitar World in a conversation in 2009 that the Cellar Door recordings would probably only be made available as downloadable updates to the Archives. “We don’t have enough great takes to release it as its own disc,” he said at the time. Live At The Cellar Door shares a lot of similarities to the Massey Hall disc, though Cellar Door isn’t quite as revelatory. There isn’t anything as insightful as learning that “Heart Of Gold” was originally a segue in “A Man Needs A Maid,” but Cellar Door offers the earliest available recordings of “Old Man” from Harvest and “See the Sky About To Rain,” which wouldn’t see an official release until four years later in On The Beach. There’s also “Bad Fog Of Loneliness,” a non-album track that first appeared on Massey Hall. Young originally planned to perform “Bad Fog” on The Johnny Cash Show, but after his appearance was canceled, he opted to play a couple newer songs when he was rescheduled. One of those newer songs was “The Needle And The Damage Done,” and the similar guitar lines might have played a role in “Bad Fog” not making the Harvest cut (a studio version with Harvest backing band the Stray Gators appears on Neil Young Archives, Vol 1). But outside this moment of levity, Live At The Cellar Door sounds like Neil Young with his head down playing to an exceedingly polite crowd; no one’s shouting for him to play “Down By the River” (not that they needed to), and there’s an all-business feel that might have played a part in Young’s initial lack of enthusiasm about these recordings. The setlist mines a couple more Buffalo Springfield songs, “Expecting To Fly” and “I Am A Child,” and the disc is loaded with After The Gold Rush selections (“Tell Me Why,” “Only Love Can Break Your Heart,” “Birds,” “Don’t Let It Bring You Down” and the title track). But the real gems here are the pared down Everybody Knows tracks. “Down By the River” shines by virtue of being one of Young’s most haunting songs, and supposedly having just one year of serious piano experience didn’t stop the famously restless artist from using that instrument to reinterpret “Cinnamon Girl.” That bit of novelty is enough to make Live At The Cellar Door a worthwhile archive, and the recordings capture a songwriter who was quickly perfecting his craft – so quickly that he topped himself a few months later when he recorded a better live album.